In term of word, people can be define into two distinct field of applications, whether as a singular noun or irregular plural noun. Generally people are classified into several groups base on outer appearance and characteristics. Are people that kill other people can been classified as people? Last weekend while watching Buletin Utama, both reporters informed that a new 'Peace Agreement' will be held between the Israeli and the Abbas Palestine government. As I remembered, this is the fourth time that a 'Peace Agreement' will be held. Previous 'Peace Agreement' are just a waste of time, money and hope because the Palestinian still suffer at their own land. What are our role to ease the very heavy burden of the Palestinian? As people that live in harmony, should we just go to Palestine and kill all the Israeli? If we do went to Palestine and killed all the Israeli, then there are not much different between us and the Israeli. Furthermore it is not the best solution for us that live far away from Palestine. How can we help the Palestinian? There are many parties that organizes fund raising toward helping the Palestinian. LifeLine4Gaza(LL4G), an international convoy is the latest party to held fund raising for Palestinian. We can donate to LL4G via Tabung Palestine HALUAN at Maybank(564490208528). There are also others fund raising parties such as Aman palestine, Unit Amal PAS and Majlis Belia Malaysia. 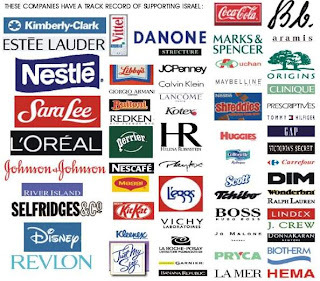 and other products that related to the Israeli. 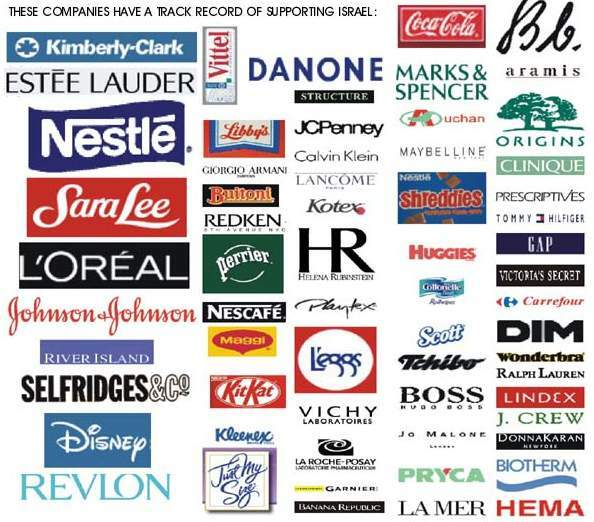 If we bought these kind of products, it is the same as we sponsor the weapons to the Israeli to attack the Palestinian. Whether we are Muslim, Buddha, Hindus or Christian, we have our own believe and we should pray for the sake of the Palestinian who suffer at their own homeland. Produk2 ni kebanyakan adalah produk keperluan n secara directnya mmng susah nak boikot truih. just kurangkn penggunaan n cri alternatif produk len. @belalang hijau; thank for your compliment..
Brita terbaru, kerajaan Lubnan ragu-ragu ngan pelan damai baru-baru ni. kite pun kene dr awal ragu-ragu ngan pelan damai yg dikongkong Israel Laknatullah. I wish that conflict could finish soon, and palestinian people could live in peace, in their land. Thanks for your visit! Wish you a happy Saturday!